I would like to play Mozart’s Requiem at my wedding. (My mother said that she would approve of any person who would agree with this request.) Although the Requiem has a decidedly dark tone, the piece, written by Mozart on his deathbed, emanates with lively energy, awakening all who listen to it. My introduction to Mozart’s Requiem was many years ago when I watched Amadeus. I developed an obsession with this piece, repeatedly listening to the Berlin Philharmonic’s recording, featuring soprano Anna Tomowa-Sintow. When I saw it was on the Los Angeles Philharmonic’s season calendar in August 2017—featuring Gustavo Dudamel as the conductor— I lobbied my mother to let me see it (and forced her to take me on the 2-hour round trip to the Hollywood Bowl on a school night). As the concert approached, I listened to the Kyrie movement ten times a day, studying the structure of the movement. I was very excited for this concert. The concert began, not with Mozart, but with Harmonium, a choral piece composed by John Adams in 1980. John Adams is a postmodernist minimalist composer, similar in style to composers Philip Glass and Steven Reich. Harmonium is written like a choral symphony, and is a background to three poems, corresponding to its three movements. The first movement, “Negative Love,” is based on the poem by John Donne and begins softly with an ethereal mood. Dudamel conducted this restrained piece in a reserved way, his baton keeping him in check. Although “Negative Love,” like the rest of Harmonium could be mistaken for ambient music, it creates a mysterious mood and possesses sufficient musical merit and complexity to avoid this label. Based on poems by Emily Dickinson, the following movements, “Because I Could Not Stop for Death” and “Wild Nights,” were similar in timbre, rhythm and varied mostly in volume. John Adams presented himself to the audience at the end of the first half and received the applause of the crowd, a nice reminder that all composers from all time periods were living breathing human beings at one point. That is, not all composers are dead. Next came the Requiem, the star of this show. The Requiem Mass was Mozart’s final work, as he died during its composition. Completed posthumously by Franz Süssmayr, one of Mozart’s pupils, Mozart’s Requiem is reminiscent of Baroque Cantatas, particularly in the fugal Kyrie movement. However, the Requiem is distinctly Classical for the majority of the work, with an overall homophonic texture and the key and rhythmic changes characteristic of this period. Softly, with a ,slow tempo, the Requiem began in the key of D Minor. The Introit – Requiem movement began with low strings and woodwinds. Building gradually, the chorus joined in, with a solo by the soprano, Miah Persson. Building to a climax, the movement then softened, and concludes. Dudamel let go of all restraint and dropped his baton for this second half, conducting solely using his passionate body motions. Next came my favorite movement. Kyrie is a choral double fugue with a lively tempo written in duple meter. This movement began with the words “Kyrie Eleison,” the primary six note subject of the fugue, followed by the secondary subject “Christie Eleison,” a fast ascending conjunctive phrase that rings out distinctively. This movement alternated between strings and chorus singing the subjects, with extreme kinetic energy. The sound of the LA Phil possessed a distinctive and agitated timbre. In the middle of the movement, the key of the subject changed to major, and built in volume and complexity. This movement ended with a loud subject, before continuing onto the Dies Irae movement. This movement, full of fire, ended with the tempo slowing, timbres becoming less harsh, and the whole character changing. The piece then moved into a call-and-response section with many bass and tenor voices. The movements progressed with similar texture and timbre, with the Lacrimosa section, and the Offertorium movement, before returning to a recapitulation of the Introit. After these inner sections, we returned to the Communio section, a repeat of the Requiem Aeternam and the Kyrie fugue. This piece ended grandly, leaving me full of awe with a bit of sorrow as the concert had come to an end. In reflection, the pairing of Harmonium by John Adams (1980), a contemporary minimalistic composer, and Wolfgang Amadeus Mozart’s Requiem Mass K.62 was an inspired choice. Both are choral works broken into short sections; both are meditations on death. In this way, Harmonium is a contemporary Requiem and a fresh compliment to Mozart’s Requiem. Having loved Mozart’s Requiem for many years, and having seen it once before (at the London’s Academy of St. Martin in the Fields in 2014), I was amazed at the quality and awe-inspiring nature of this piece and the Los Angeles Philharmonic, and I found Dudamel’s passionate interpretation of this marvelous work to be absolutely fantastic. I hope to see both Mozart’s Requiem and Dudamel in concert again in the future. After all, I have become even more convinced that I would like to play Mozart’s Requiem at my wedding. I have always enjoyed thinking about classical music and music theory, and seeing classical concerts. 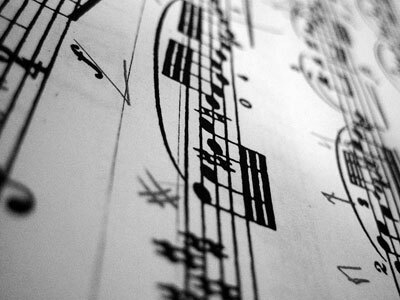 After taking a Music Appreciation class, I realized that I really enjoy writing about classical music. Lifehouse's great sense of humor!